3pm. 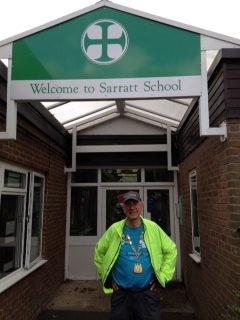 I visited Sarratt School and did an assembly and it is great to have an opporuntity to visit them again on the walk. At the school I had lunch and changed from wet walking boots to running shoes.